For a young D.C. family who love to entertain, a proper dining room was on order. 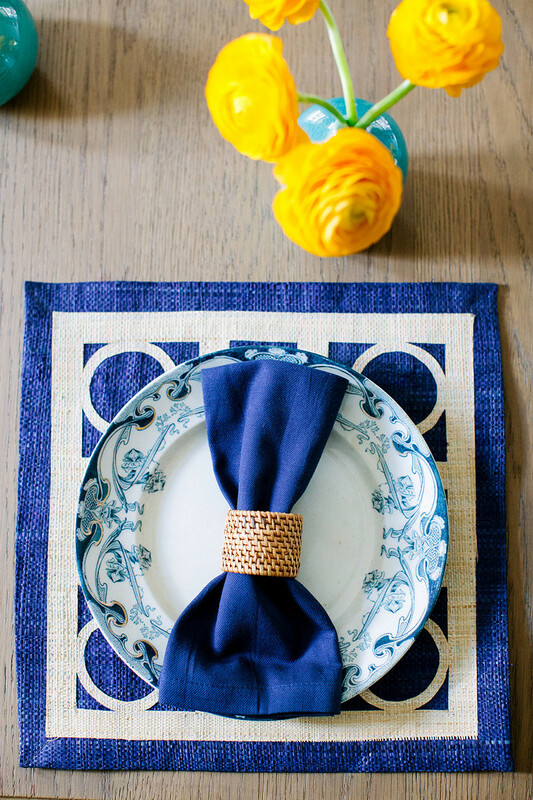 Our clients shared our passion for color, textiles, and eclectic mix of furnishings. A favorite block printed linen in a vining floral pattern dresses the windows, while an oversized capiz shell chandelier makes an impactful moment, particularly when seen through the dining room’s arched entry. A French inspired dining table is juxtaposed by chippendale bamboo dining chairs. One of our favorite pieces, is the vintage china cabinet which we gave a fresh coat of Prussian blue lacquer and lined the interior with acid yellow grasscloth wallpaper. These wonderful clients have since moved on to Austin, Texas, but were sure to let us know they brought each and every piece with them to their new home! Lindsay is a wonderful decorator and it is an absolute pleasure to work with! She is extremely talented, with fantastic ideas and impeccable taste, as well as incredibly professional and understanding of clients' needs/wants. Lindsay helped us decorate our dining room and transformed it into a beautiful space that looks like it is out of a magazine. We are now proud to have people over! Lindsay helped us select everything in the room as it was a blank slate. She really captured our style/taste and was very savvy in terms of helping us decide in which pieces we should invest more and where to save money. We were really appreciative of her attention to our budget boundaries. She is also very patient as we went back and forth on different decisions. Her aim is truly to make sure her clients are happy with the outcome and is very understanding if sometimes that means waiting on clients to mull over options, change their minds, etc. We really appreciated that! She is very responsive to client needs/questions and was great about keeping the project moving within a quick timeline. Lindsay had a wonderful attitude, and was happy to talk through decisions even after we made them in order to make sure we were really comfortable/happy. 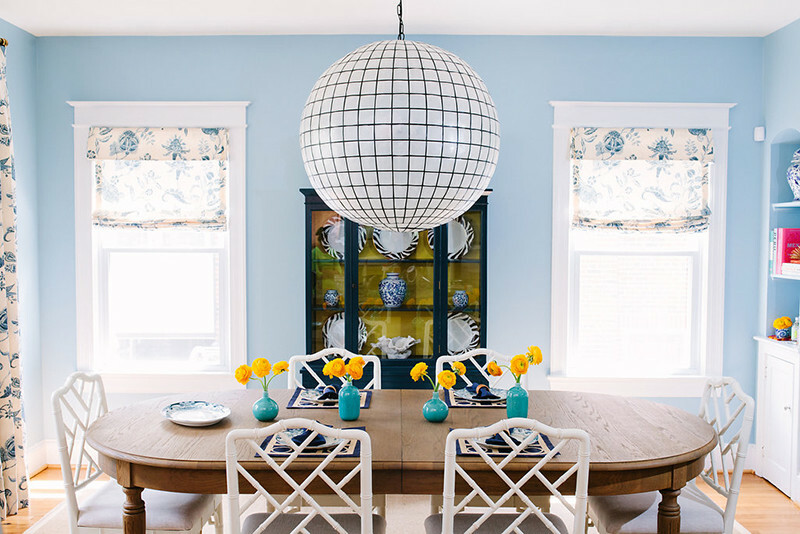 I went back and forth on the scale of the light fixture for the dining room, as before we hung it I wondered whether it would be too big. Lindsay came over with posterboard cut outs of the light fixture in different sizes so we could hang them and compare. In the end, she was right and the dramatic scale of the light fixture absolutely makes the room - we love it! But we really appreciated her walking us through when we had that question. In the end, we loved every piece she suggested and it all came together beautifully. We really cannot say enough great things about Lindsay, and are excited to work with her again in the future!